Medical and Behavioral Toxicity Overview Alcohol and other drugs of abuse have caused and continue to cause considerable adverse health effects to both the individual and to society. 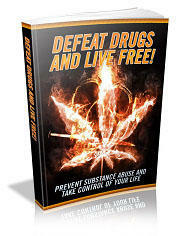 Both legal and illegal drugs (substances) of abuse are taken to modify mood, feeling, thinking, and perception. As with most drugs (medications), both acute and chronic toxicities occur. In general, the term acute refers to the short period of time when the drug is present in the body, exerting its main effects. The term chronic refers to a longer term, usually years. Acute toxicity results in the impairment of behavior leading to other complications (e.g., trauma) and, in the case of some drugs, high doses can decrease breathing (respiratory depression) or change the rhythm of the heart, leading to accidental or intentional death. Chronic use can result in organ damage, which may lead to chronic illness or death (as with alcoholic cirrhosis of the liver). Persistent use of many classes of drugs also leads to TOLERANCE (an increased amount is required to produce the same effects) and physiologic (physical) dependence, so that a WITHDRAWAL syndrome is associated with sudden cessation of drug use. Drug users who employ hypodermic needles and syringes (injecting drug users [IDUs]) are at risk for blood-borne diseases associated with the use of unsterile equipment, such as hepatitis and human immunodeficiency virus (HIV 1 and 2—the viruses responsible for AIDS; see ACQUIRED IMMUNODEFICIENCY Syndrome). B. Has never met criteria for Substance Dependence for this class of substance. These criteria continue to evolve and are likely to be somewhat changed in the future. Clearly the lack of one of the above diagnoses does not preclude a given person from being at risk for complications of alcohol or drug use (e.g., trauma as a result of intoxication).